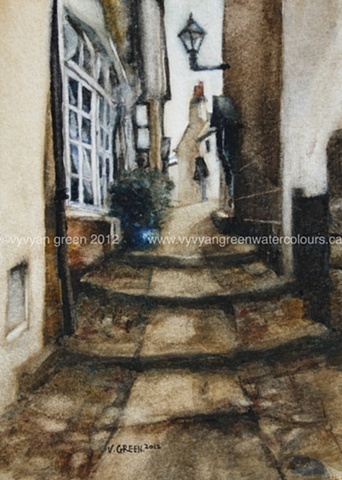 Vyvyan Green Watercolours - Alleyway - Robin Hood's Bay, North Yorkshire. Alleyway - Robin Hood's Bay, North Yorkshire. watercolour on 200lb Bockingford paper.